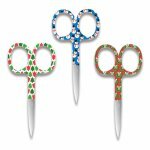 These cute, holiday-themed 3 1/2” snips are made for those little but necessary jobs. Their strong frame and surgical steel blades make them strong and precise when cutting through single fabric layers, or several strands of thread. 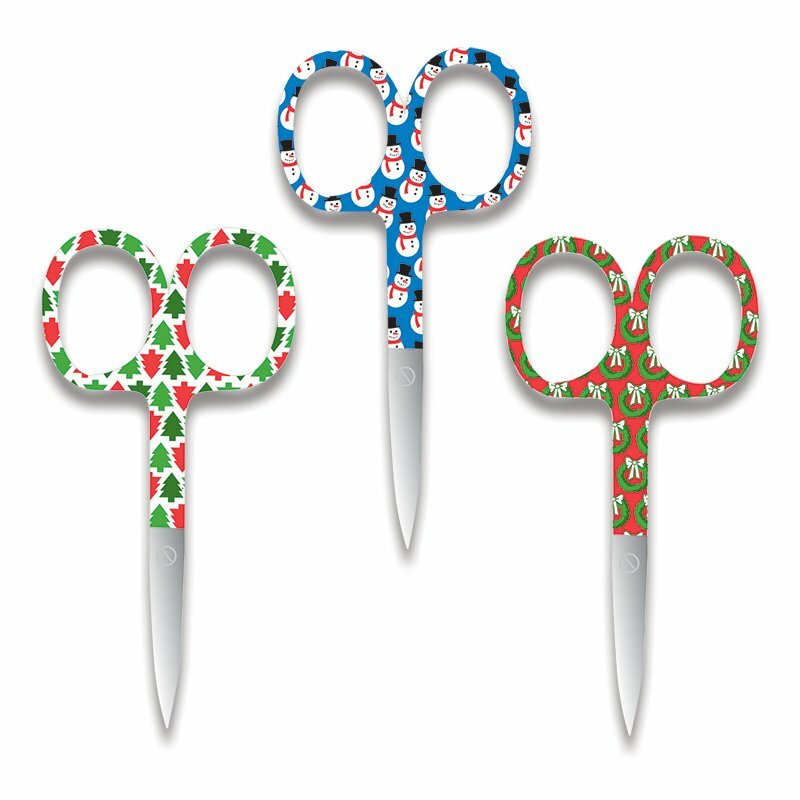 These scissors are ideal for needlework, embroidery, and garment sewing trimming needs. 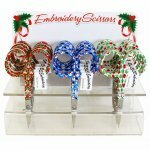 A must-have accessory for your sewing workroom, and for quick snips on the go.